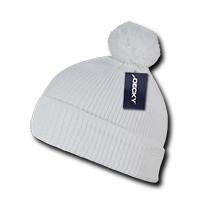 The awesome personalised Pom Pom Acrylic Beanie looks amazing when embroidered. Gone are the days when the bobble hat was merely relegated to cold weather gear or a de rigeur accessory for sports fans at stadium events. Our personalised Pom Pom Acrylic Beanie gives this hat a fresh look that we hope you can incorporate into your next marketing strategy or promotional campaign. 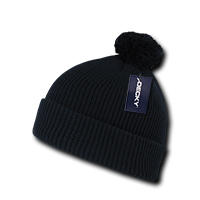 The promotional Pom Pom Acrylic Beanie adopts the traditional rounded design with a pom-pom or tassel at the crown, and comes in sleek colours, such as black, brown, heather charcoal, heather grey, navy, red, royal, and white. 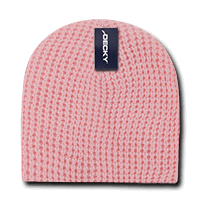 This snugly fitting cap is made of 100% high bulk acrylic, making it easy to wash and wear in a variety of outdoor conditions. 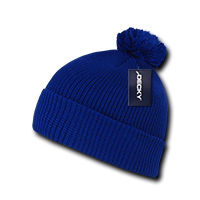 Its short and uncuffed beanie-type construction allows for maximum comfort and flexibility to suit a variety of head sizes and shapes. 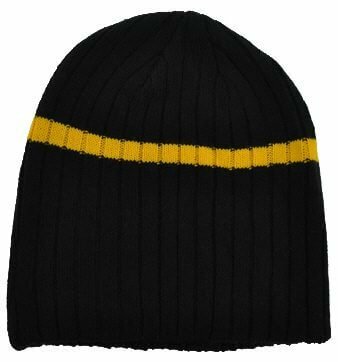 Unlike the traditional bobble hat that comes in stripes and team colors, the customised Pom Pom Acrylic Beanie more effectively shows off your brand by the simple addition of embroidery featuring the logo of your choice. 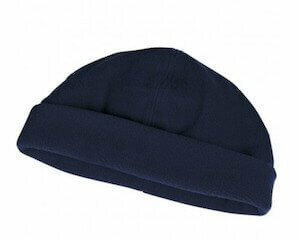 Our hats can accommodate designs of up to 5,000 stitches, with adjustments for a more complex insignia. 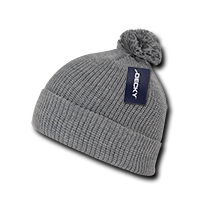 Now you can have a promotional Pom Pom Acrylic Beanie that shows off your marketing, both on and off the field. 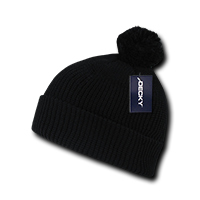 For the more active lifestyle, we also have the custom Athletic Pom Pom Beanie. This version is especially designed to accommodate special needs of those who engage in more physically demanding activities. Or if you like your beanies with visors, make sure to have a look at our promotional GI Jeep Cap Beanies as well. We also have edible Confectioneries that you can present to your colleagues for your next marketing run, so make sure you also check them out. A gifted beanie in one hand and a sweet promotional chocolate gift in the other will drive everyone wild. Do check out our Fast Confectionery website and we’re sure you’ll be able to quickly pair up a sweet lolly to accompany your beanie gifts. Give us a call if you need any form of assistance, and our service staff will gladly help you out. Just dial 1300 008 300. Likewise, send us a chat message through that chat facility on your screen.